Knopf Books for Young Readers, 9781101938751, 288pp. 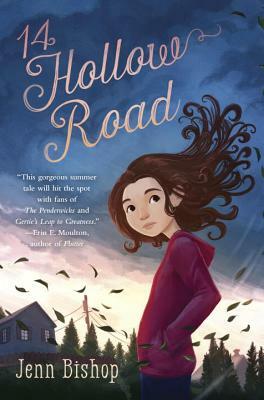 A warm summer novel about a community banding together in the wake of a tornado, perfect for fans of Lynda Mullaly Hunt, Kate Messner, and Jeanne Birdsall. The night of the sixth-grade dance is supposed to be perfect for Maddie: she’ll wear her perfect new dress, hit the dance floor with her friends, and her crush, Avery, will ask her to dance. But as the first slow song starts to play, her plans crumble. Avery asks someone else to dance instead—and then the power goes out. Huddled in the gym, Maddie and her friends are stunned to hear that a tornado has ripped through the other side of town, destroying both Maddie’s and Avery’s homes. Kind neighbors open up their home to Maddie’s and Avery’s families, which both excites and horrifies Maddie. Sharing the same house . . . with Avery? For the entire summer? While it buys her some time to prove that Avery made the wrong choice at the dance, it also means he’ll be there to witness her morning breath and her annoying little brother. Jenn Bishop is also the author of The Distance to Home and is a former youth services and teen librarian. She is a graduate of the University of Chicago, where she studied English, and the Vermont College of Fine Arts, where she received her MFA in Writing for Children and Young Adults. Along with her husband and cat, Jenn lives in Cincinnati. Visit her online at JennBishop.com or on Twitter at @buffalojenn.